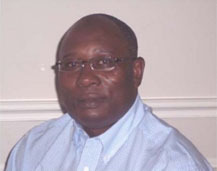 Dr. Momoh A. Yakubu is currently a Senior Scientist /Associate Professor and heads the Vascular Biology Unit of the Center for Cardiovascular Diseases- an NIH funded research intensive Center at the Texas Southern University College of Pharmacy and Health Sciences, Houston, Texas. He is an Adjunct Professor in the Graduate School, of Biology, and the Environmental Toxicology Program at the Texas Southern University. Dr. Yakubu holds B.Sc. degrees in Pharmacology and Therapeutics from the University of Ibadan, Nigeria and a Ph.D. in Materia Medica from the University of Glasgow, Scotland, United Kingdom. He had postdoctoral research trainings in neuroscience, biochemistry of parasite infectivity from Michigan State University department of microbiology and Molecular genetics and cerebral microcirculation from university of Tennessee department of physiology, Memphis. Prior to moving to Texas, Dr. Yakubu was an Assistant Professor and a Program faculty of the University of Tennessee Vascular Biology Program. Dr. Yakubu’s research interest is in the cellular and molecular mechanisms involve in subarachnoid hemorrhage-induced alteration of cerebral microcirculation. Dr. Yakubu’s research has attracted funding from American Heart Association and National Institute of Health. Dr. Yakubu’s teaching interests are in neurobiology, environmental toxicology, and is a member of numerous professional scientific societies.